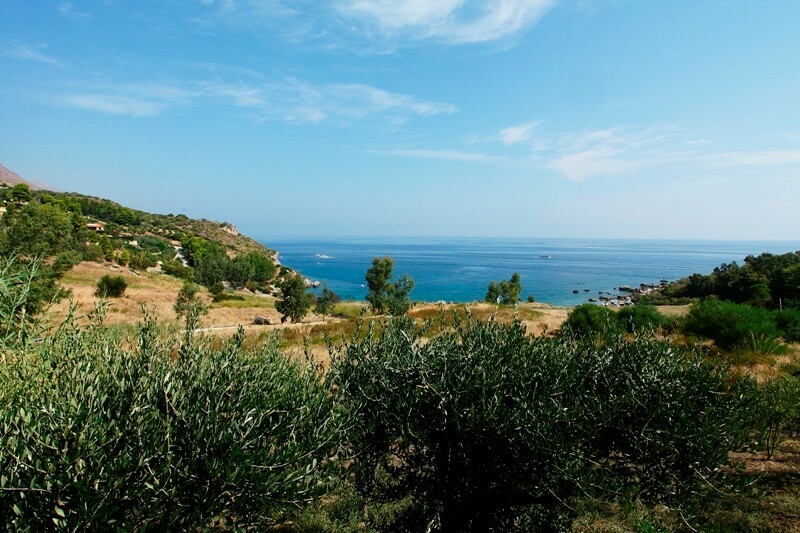 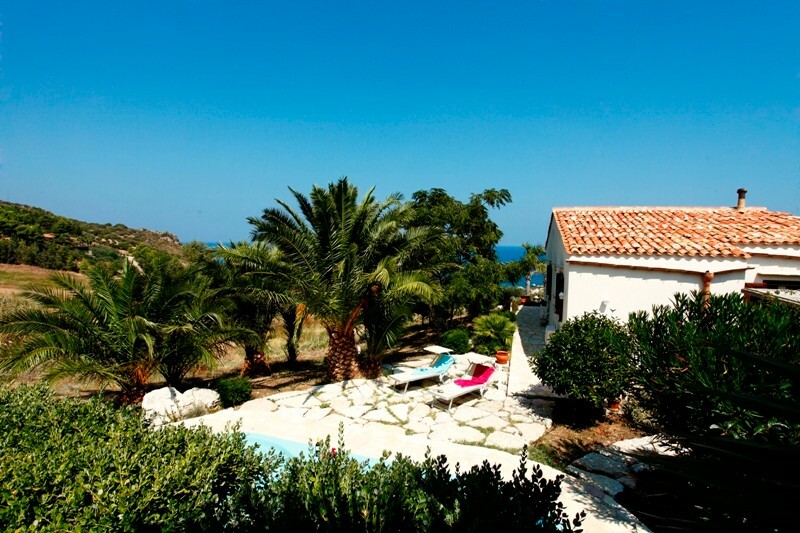 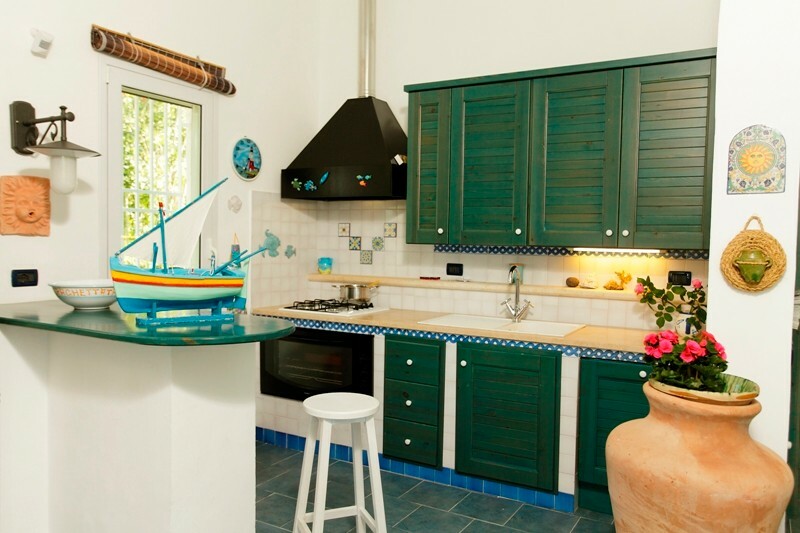 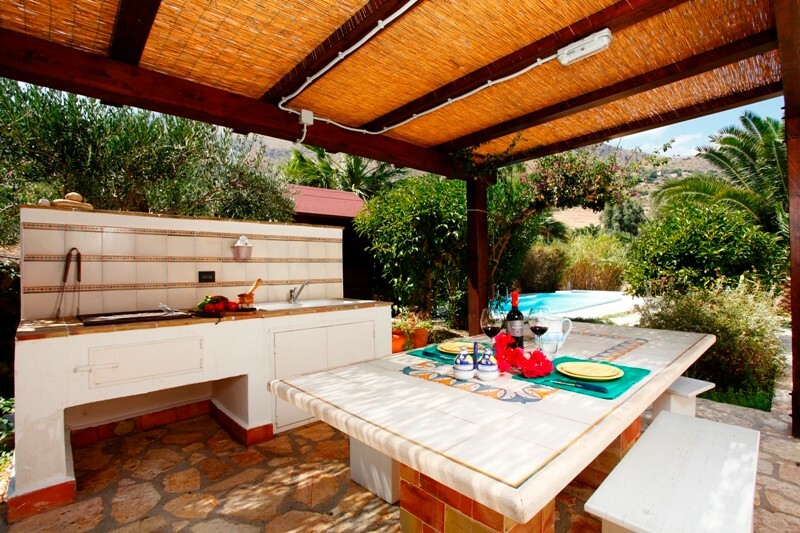 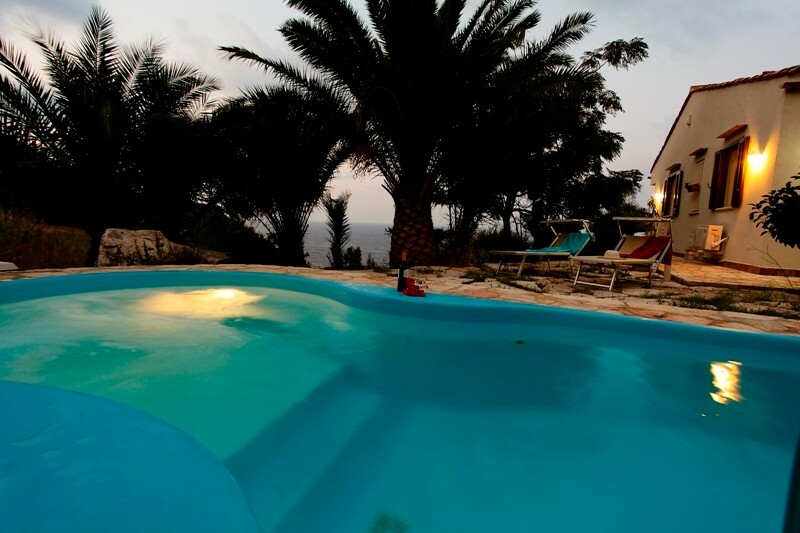 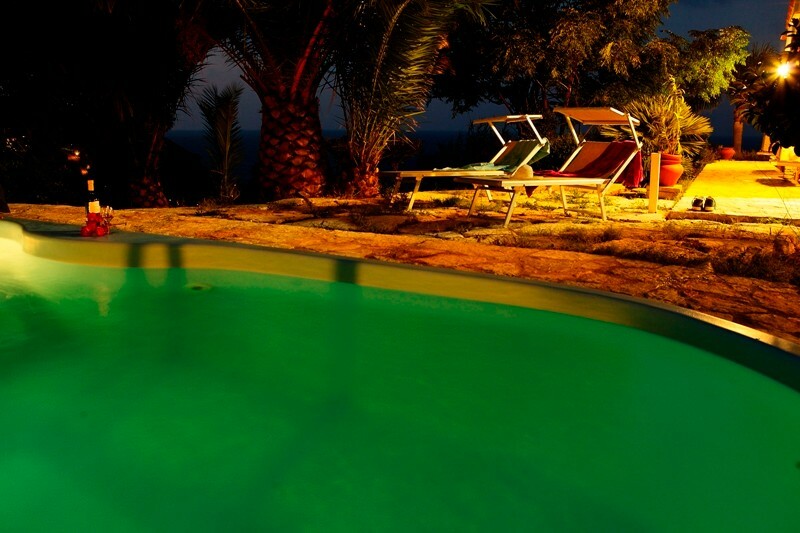 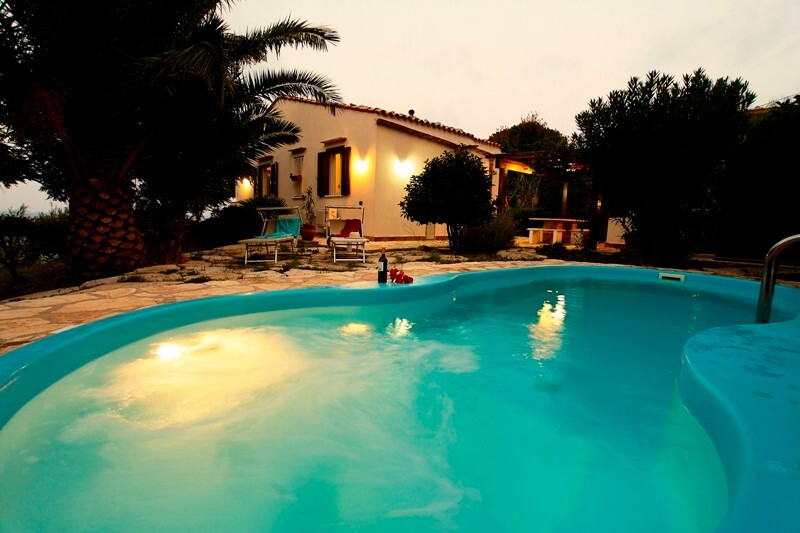 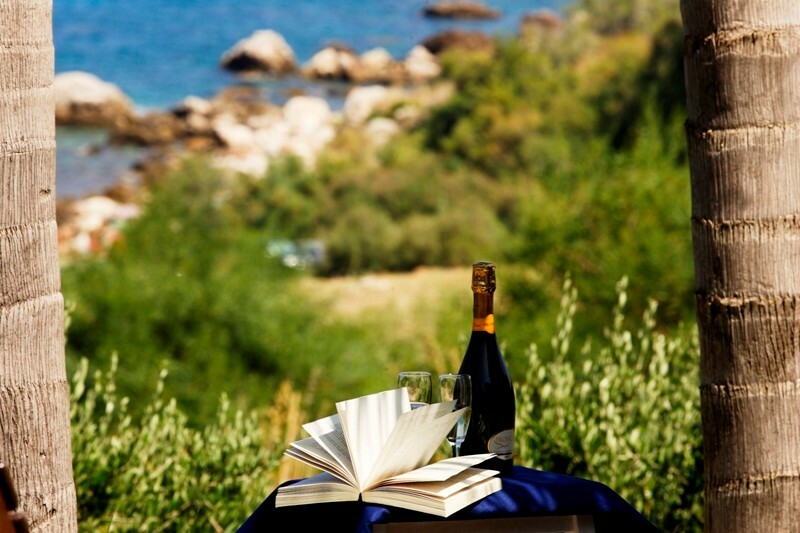 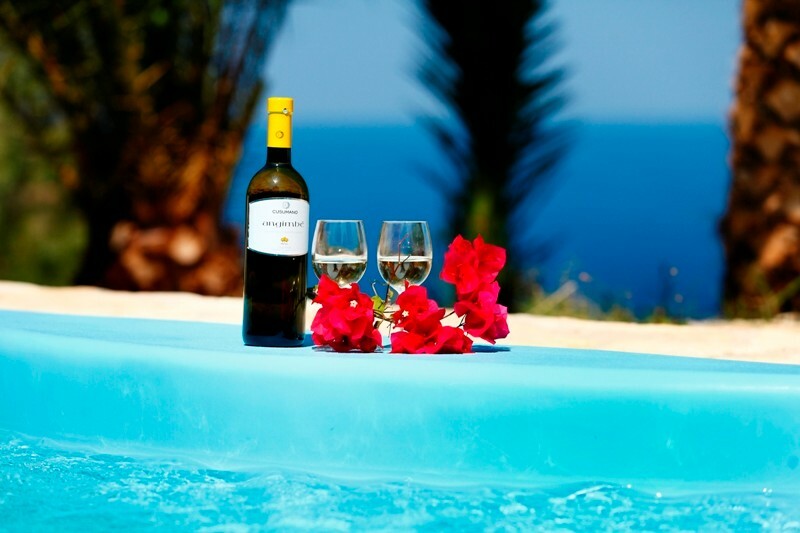 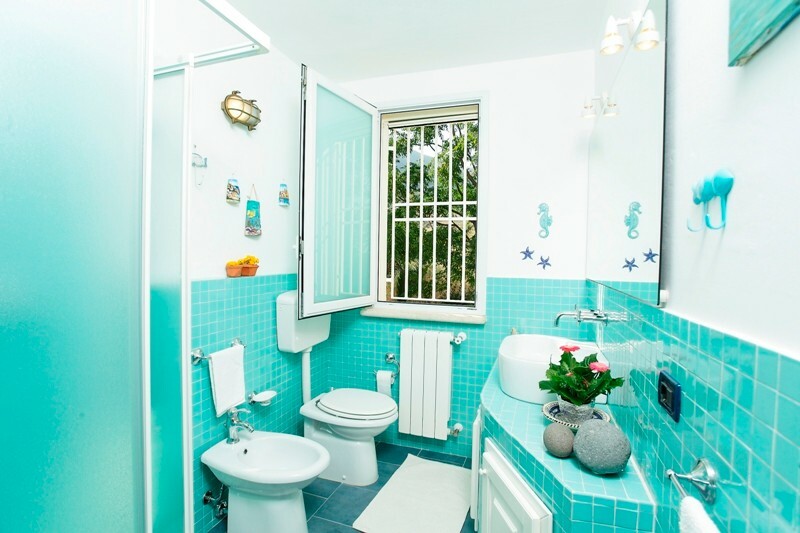 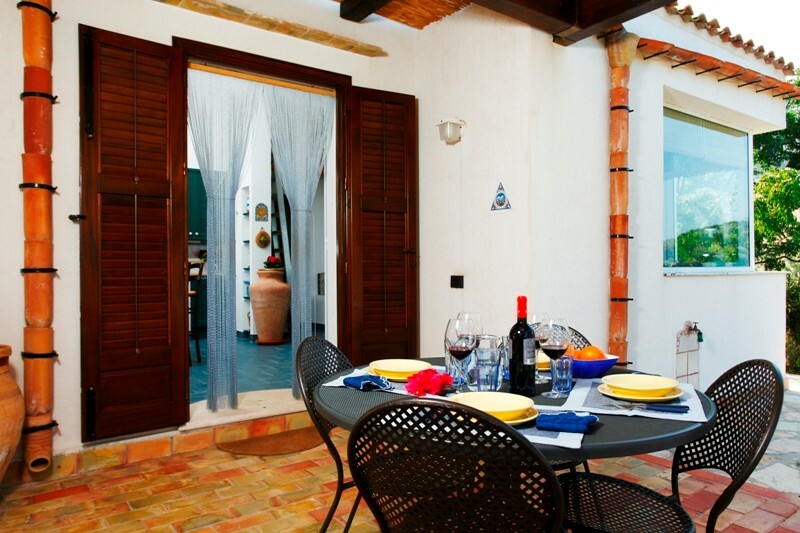 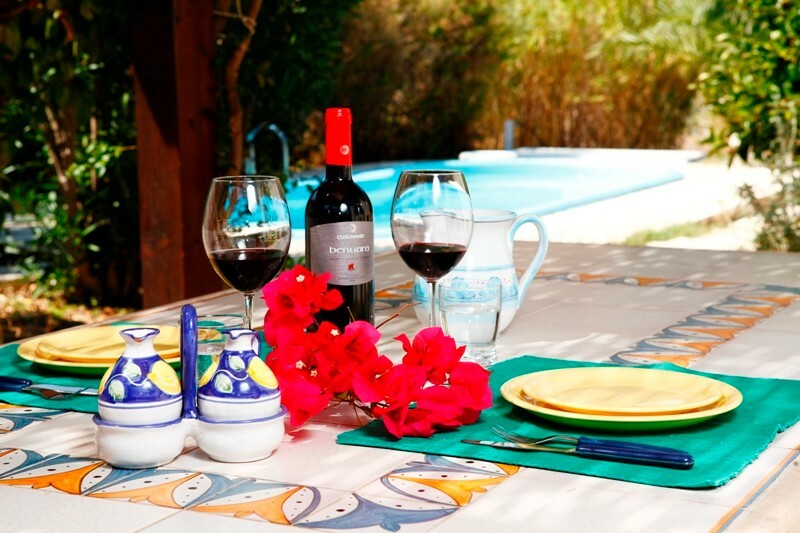 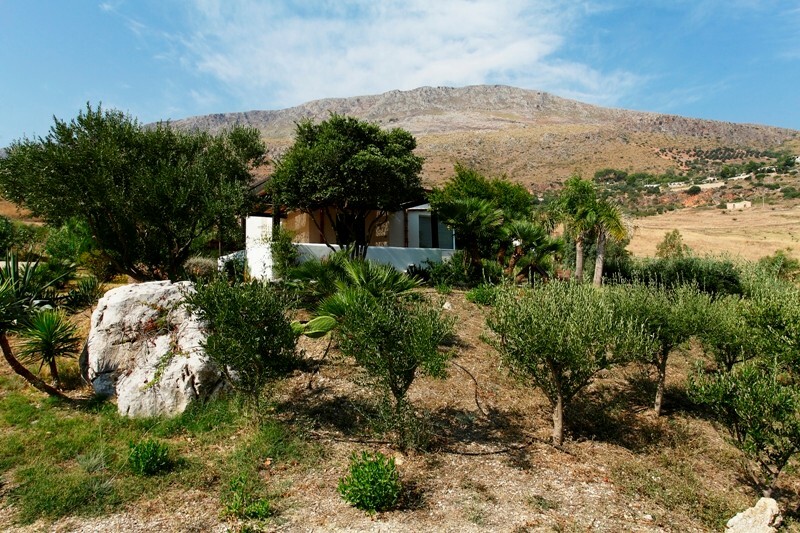 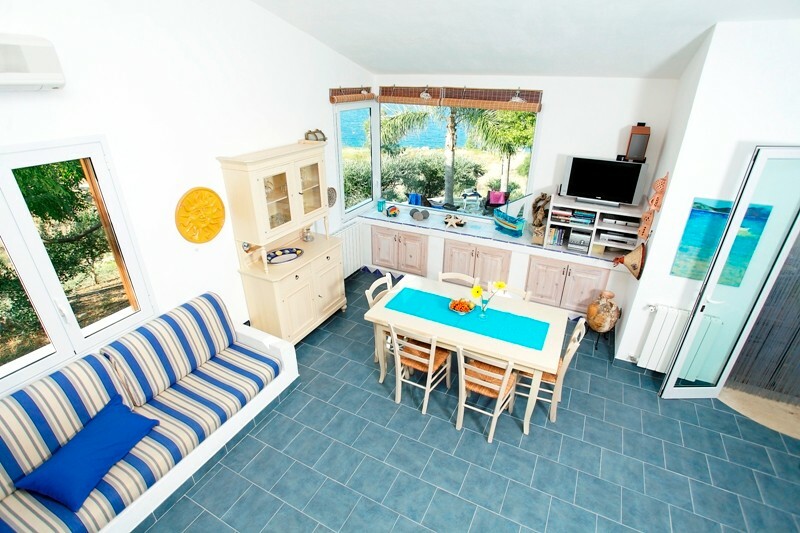 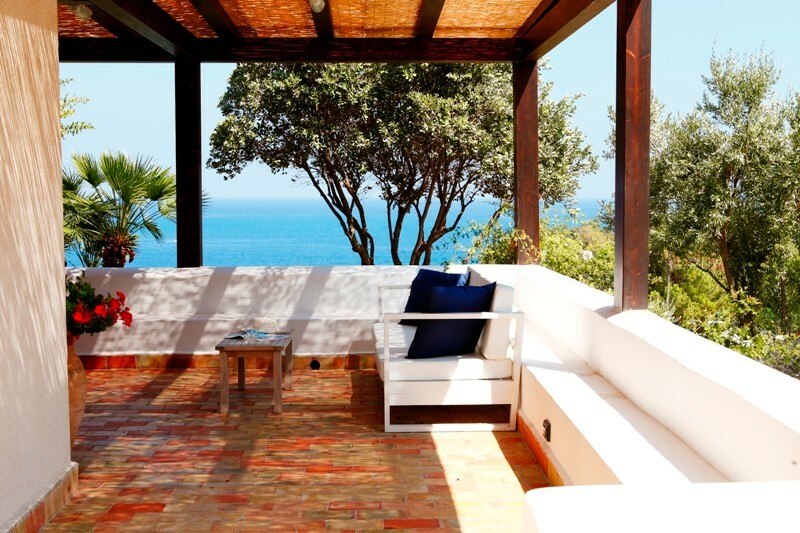 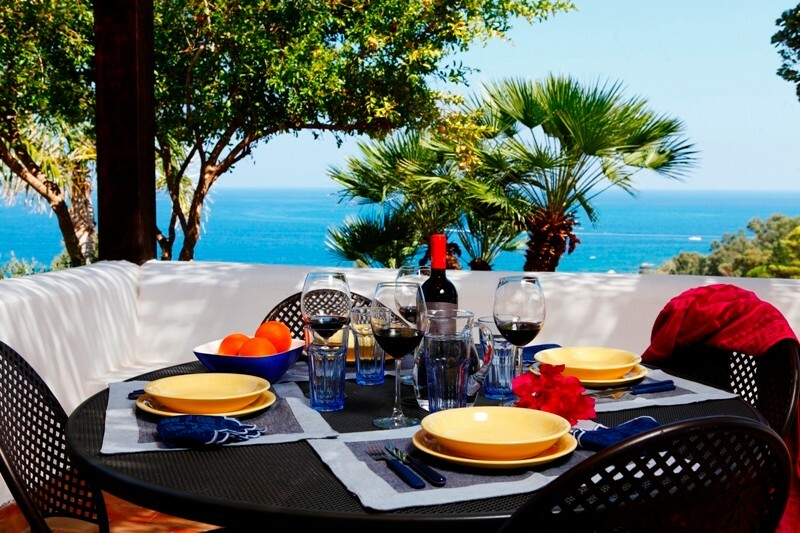 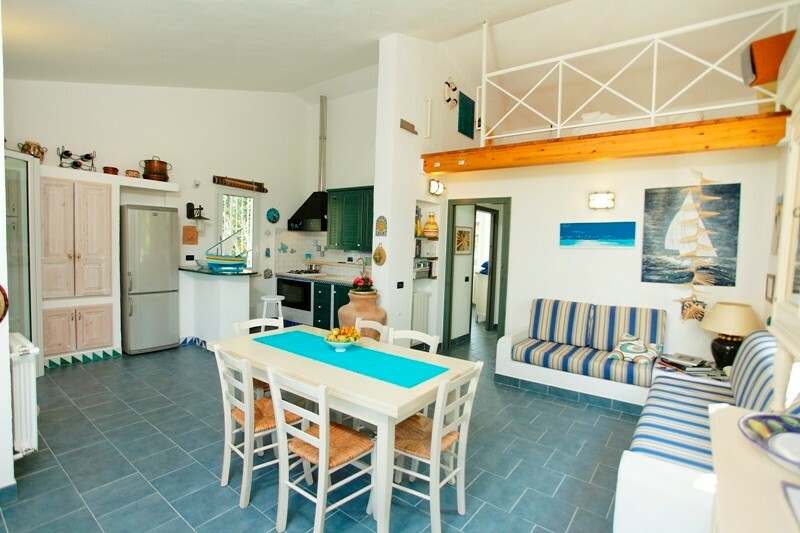 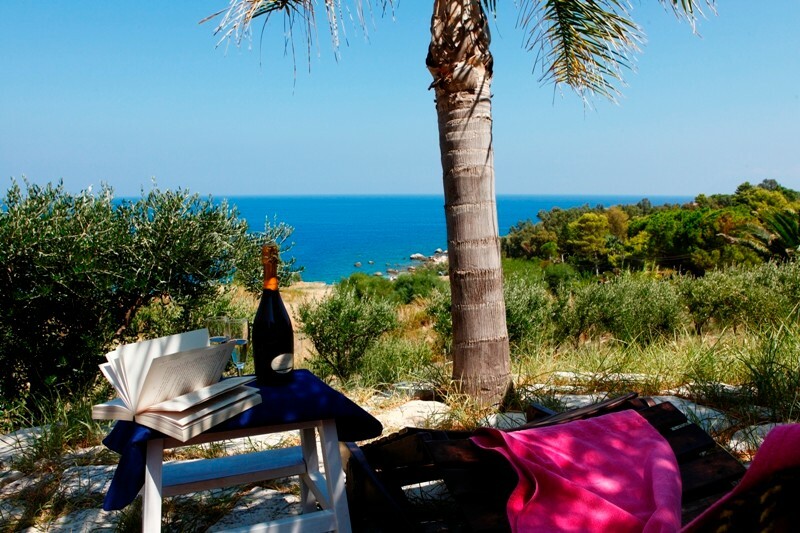 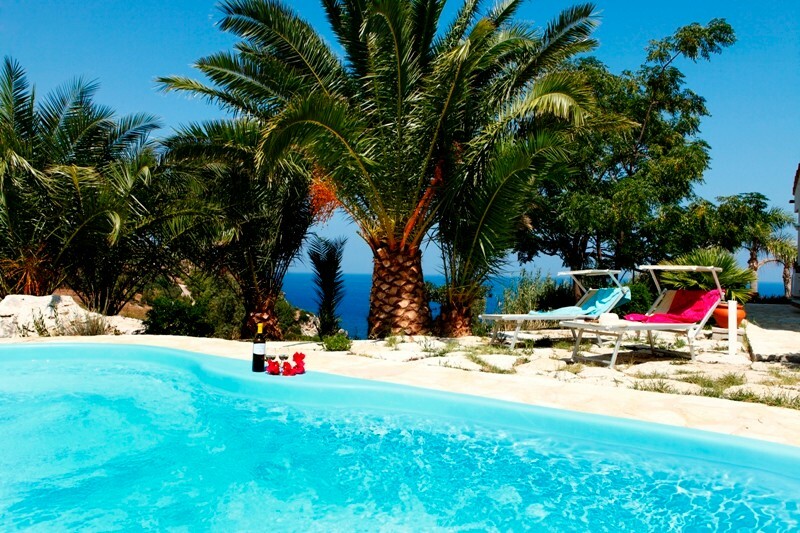 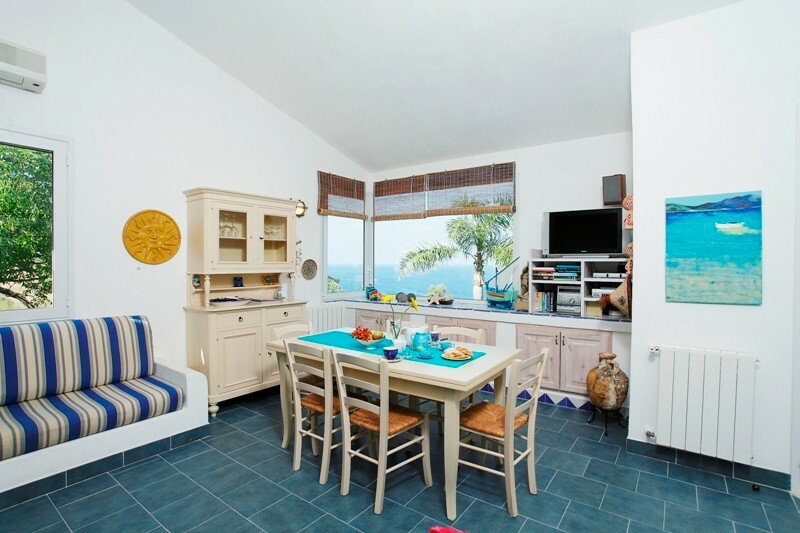 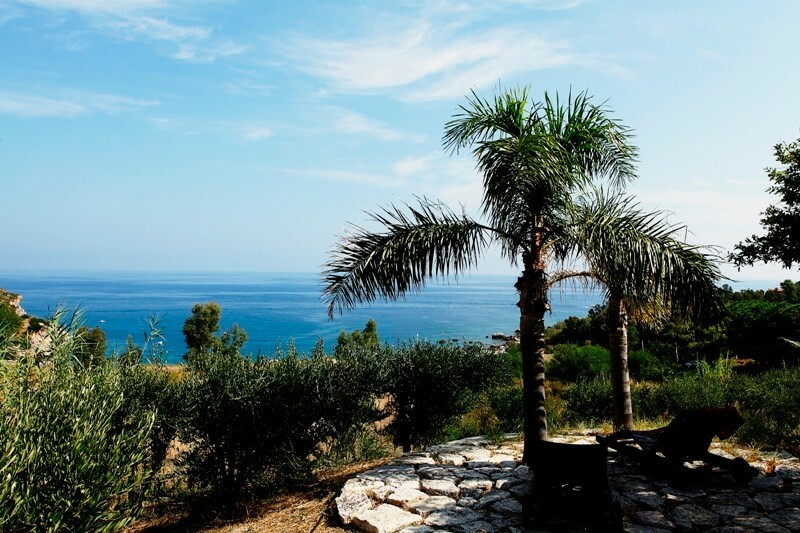 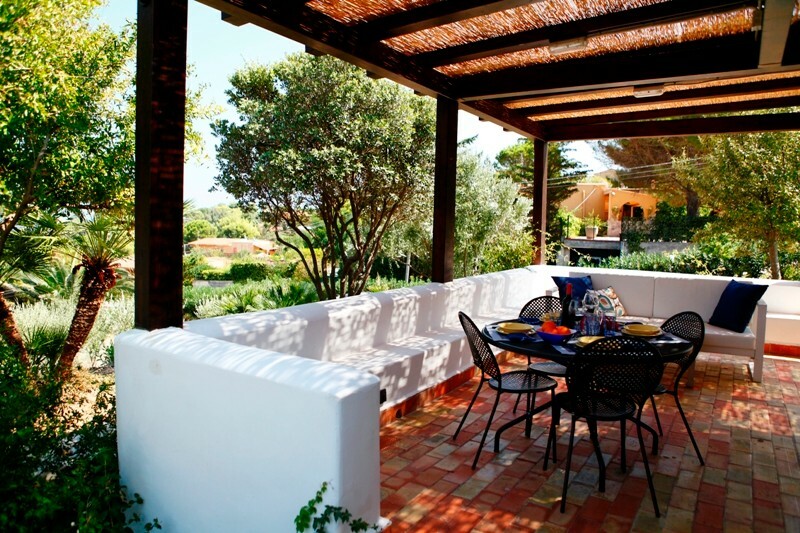 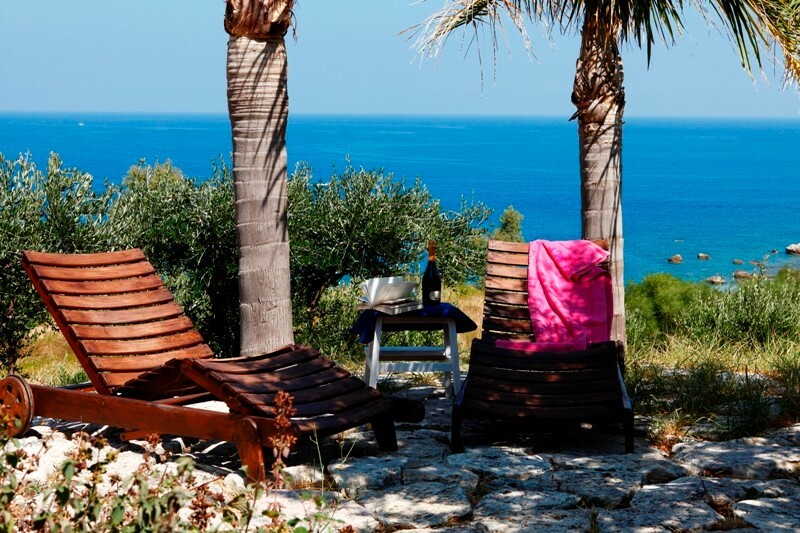 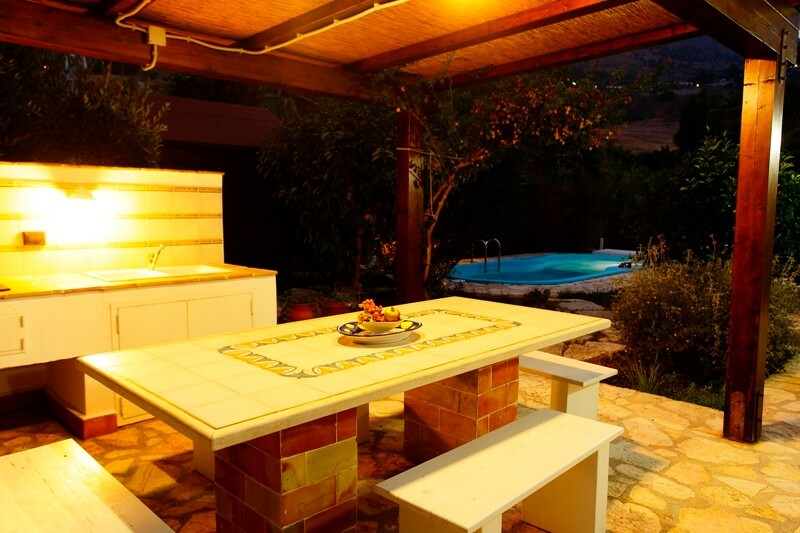 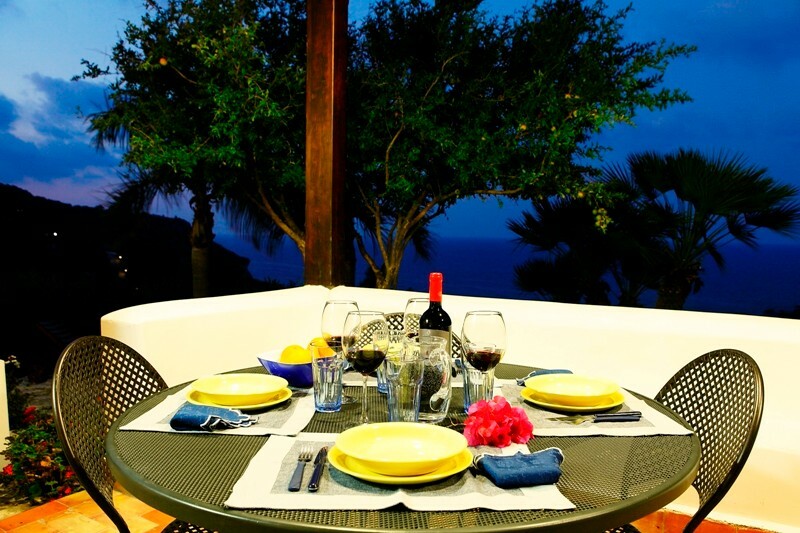 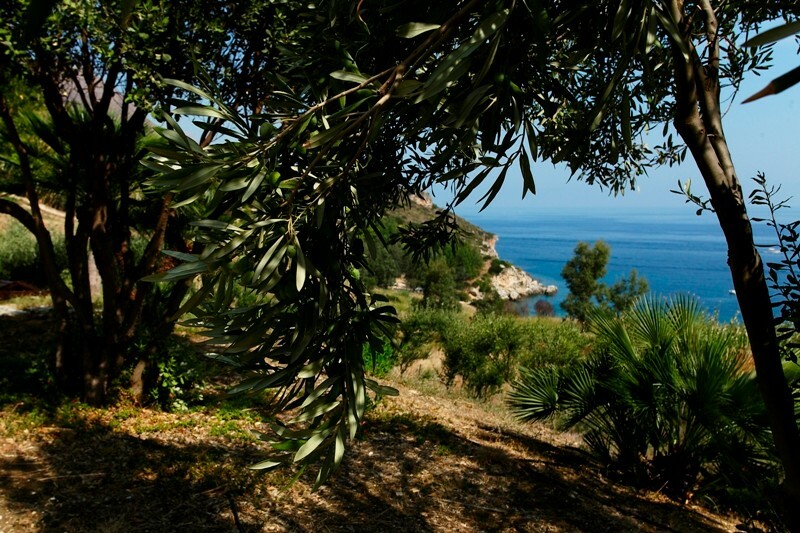 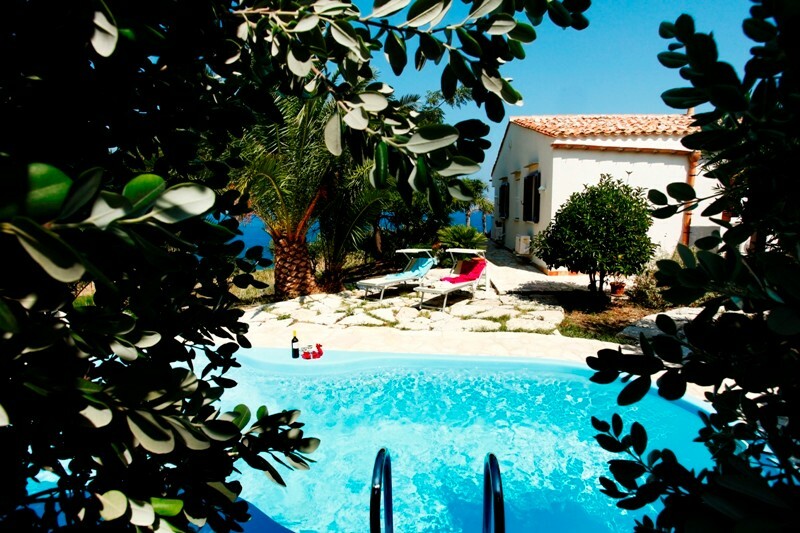 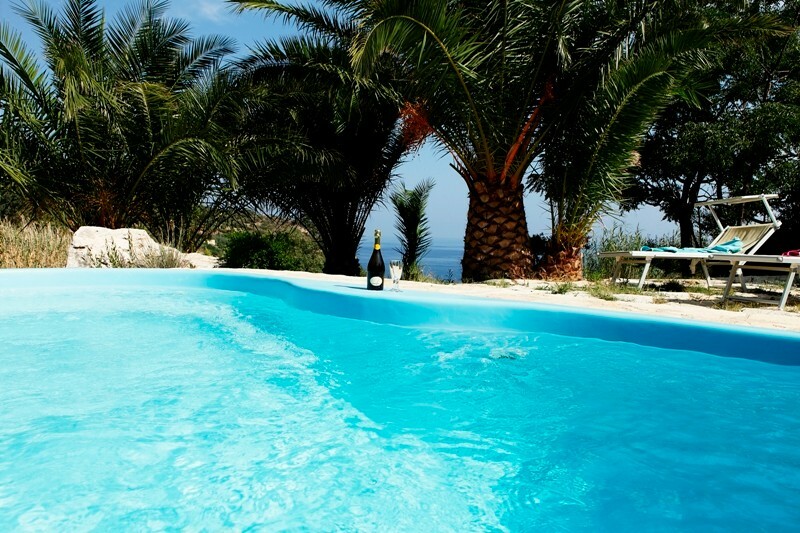 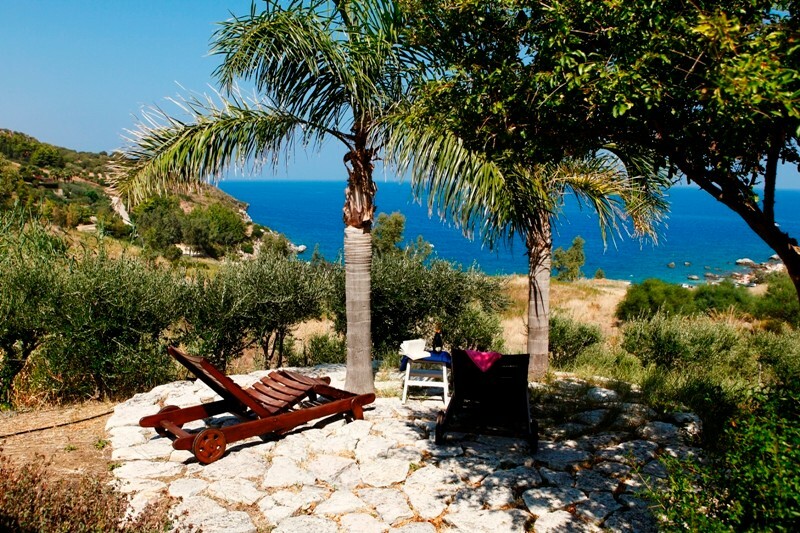 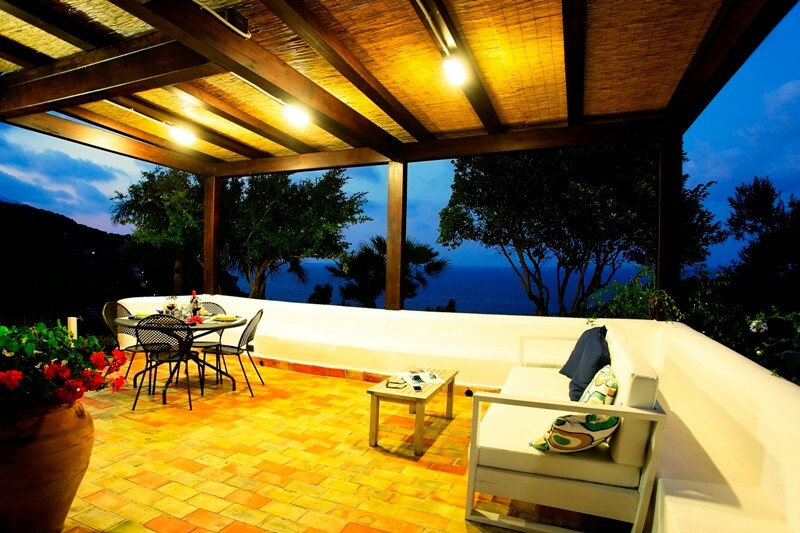 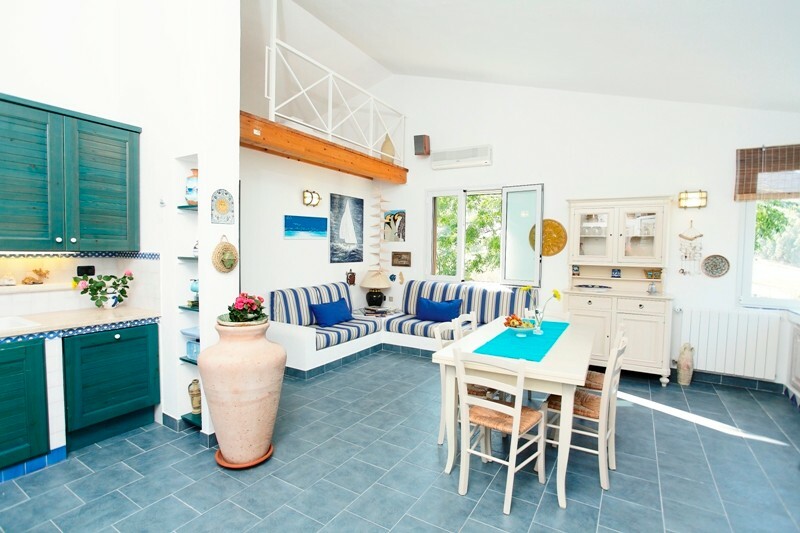 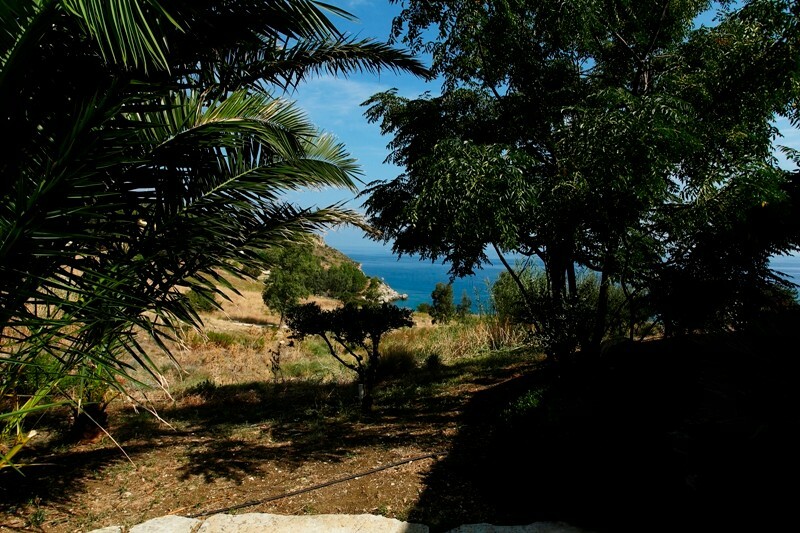 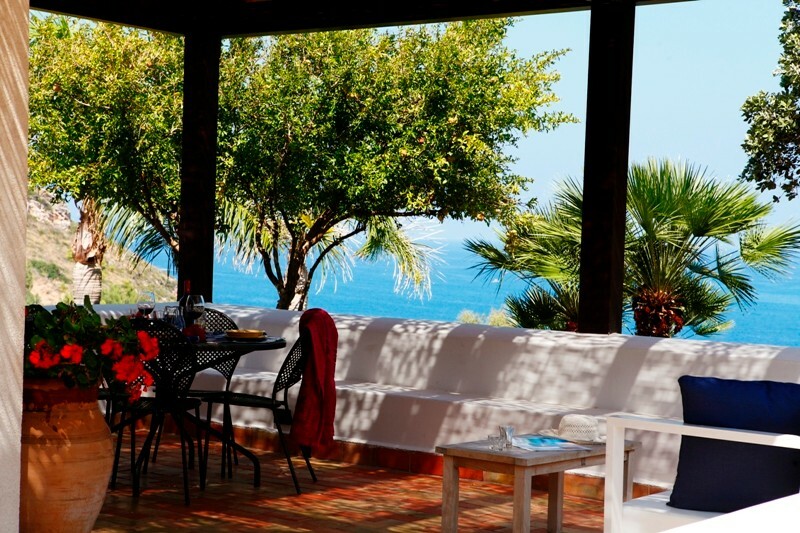 Discover Sciacca, rent the lovely Villa Ginestra. 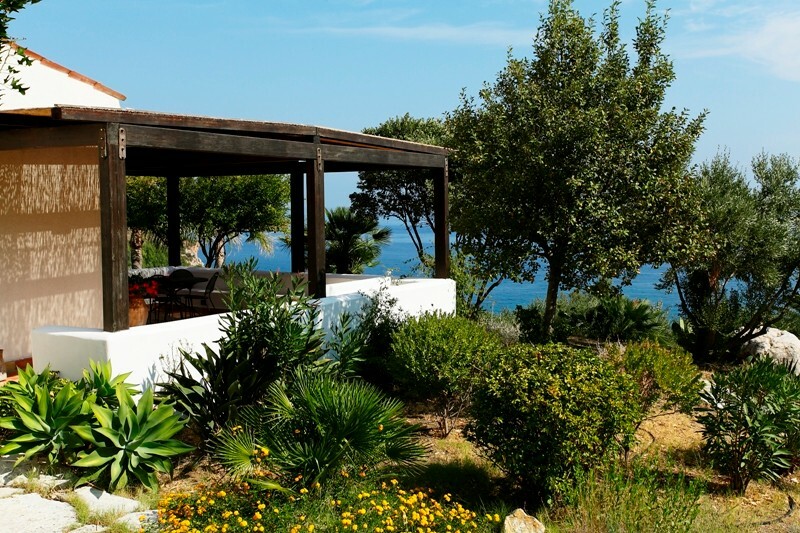 The lovely villa Ginestra overlooks the idyllic bay of Mazzo di Sciacca: the view from the house is really stunning and can be enjoyed from the two covered, fully-equipped verandas, as well as from the windows of the pretty kitchen and the living area inside the house… Not to mention the sight you get from the private pool with hydro-massage in the garden: relax, quiet and a beautiful scenario for a truly exclusive holiday. 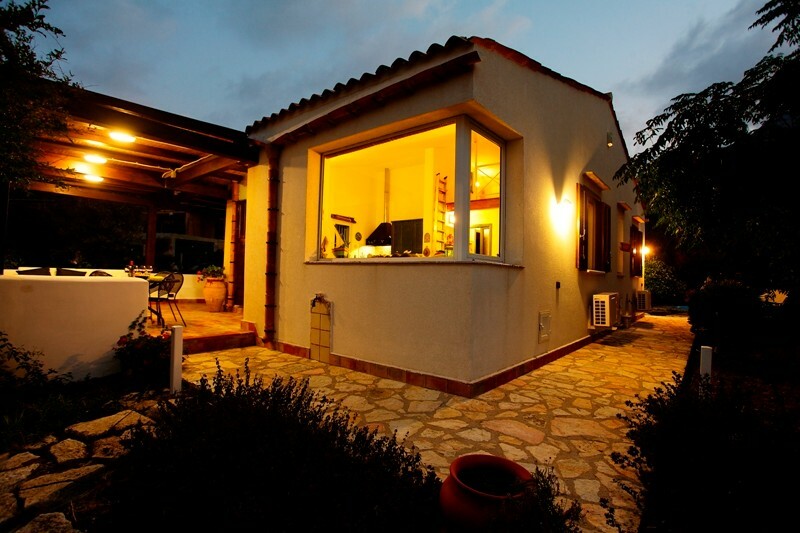 Inside, the cozy and refined living area has a built-in stone kitchen equipped with dishwasher and washing machine; the living room has a comfortable relaxing corner, tastefully furnished with plasma TV and hi-fi, as well as a special treat – a cellar that will let you discover a tasty selection of the most delicious local wines. 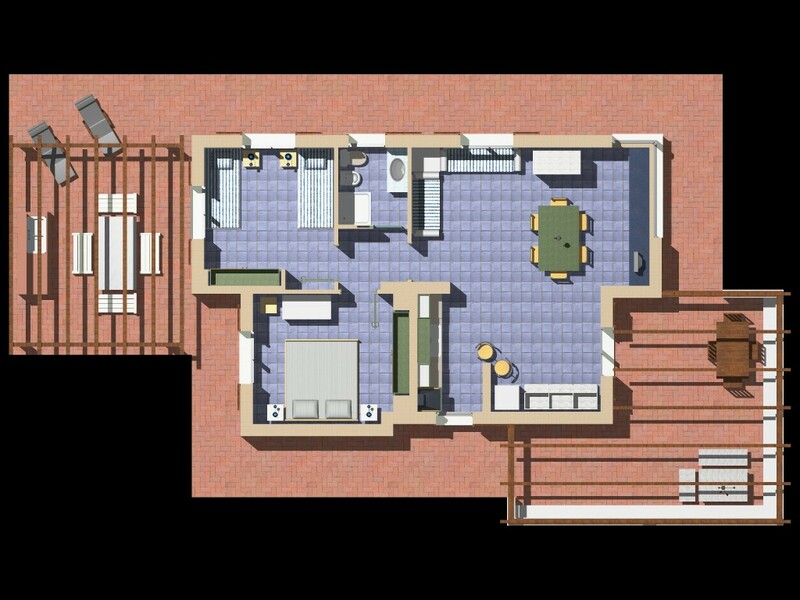 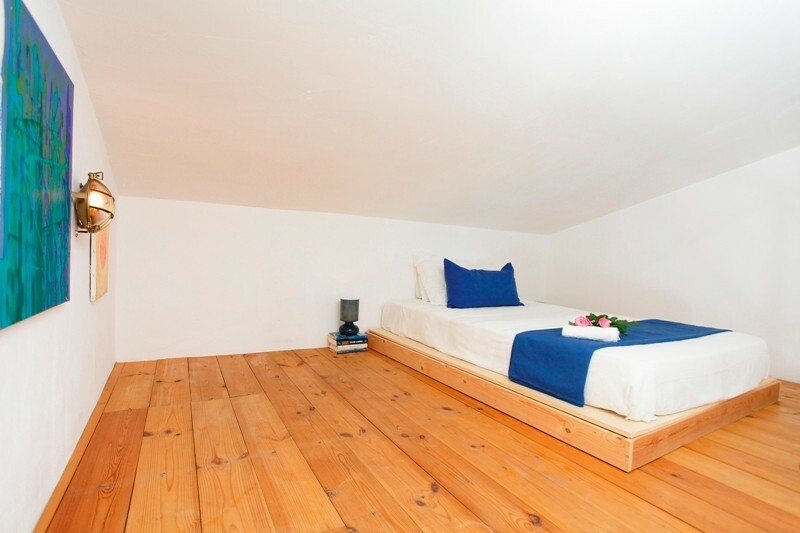 A staircase leads to a little and charming attic upstairs with two additional beds; there are also two bedrooms – a twin and a double, with quality furniture and plenty of space. 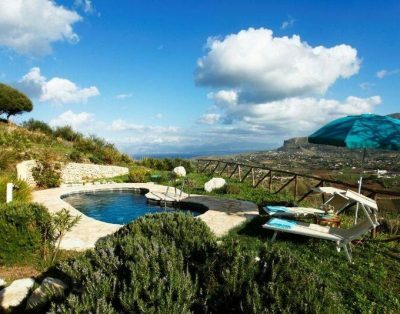 Surroundings Erice 35 km, Trapani 40 km, Marsala 78 km, San Vito lo Capo 40 km, Agrigento 150 km, Selinunte 78 km, Cefalù 140 km, Palermo 78 km, Monreale 80 km, Segesta 26 km, Scopello 1 km. 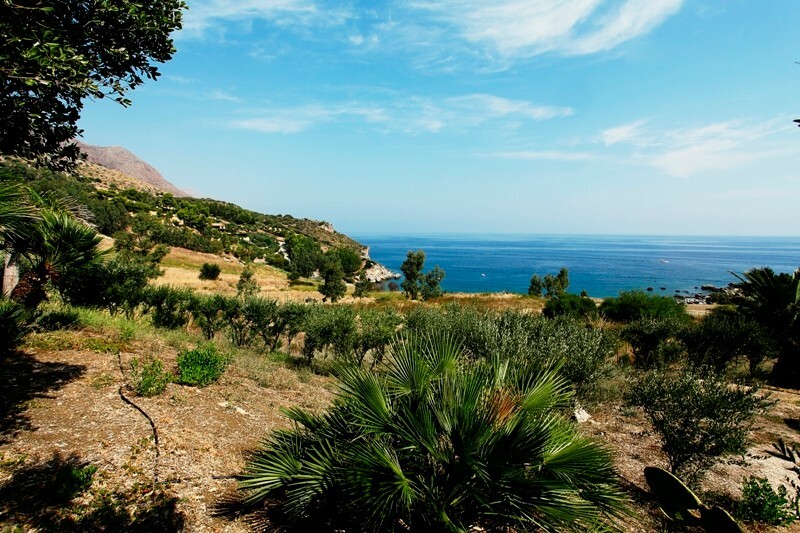 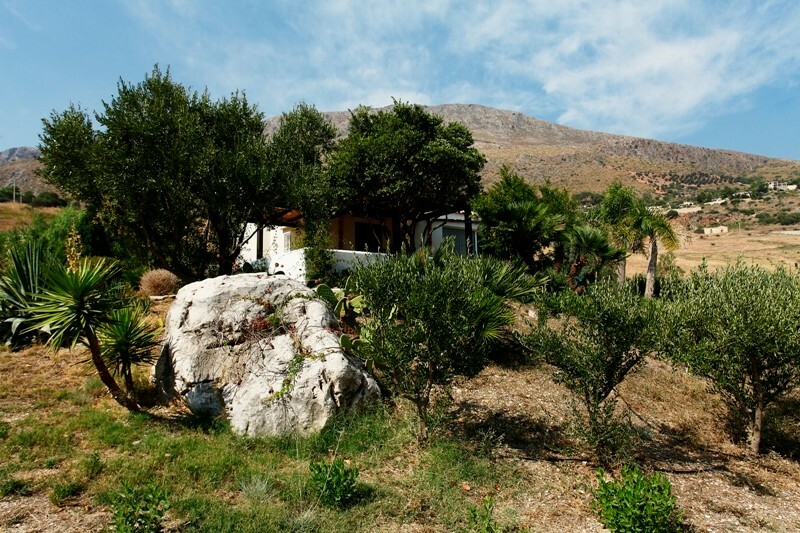 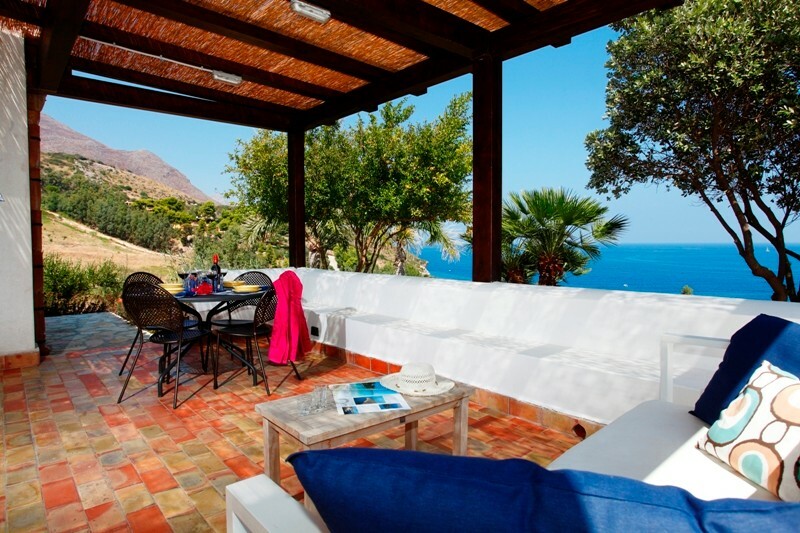 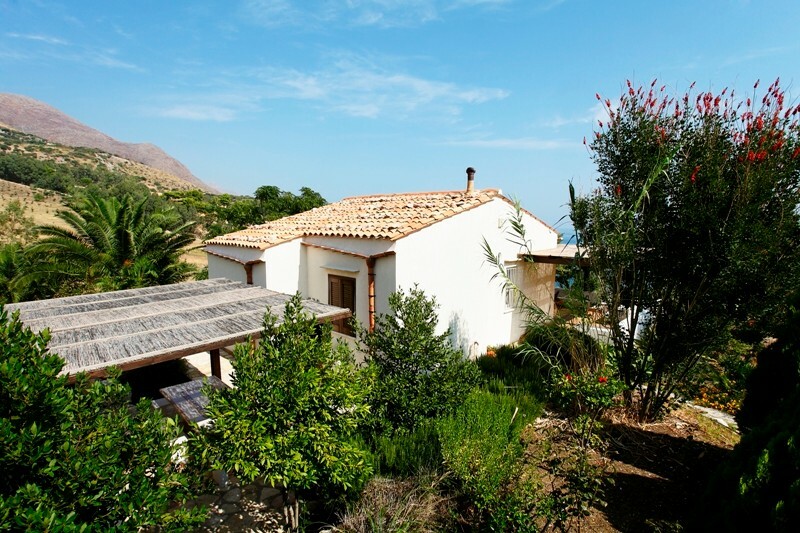 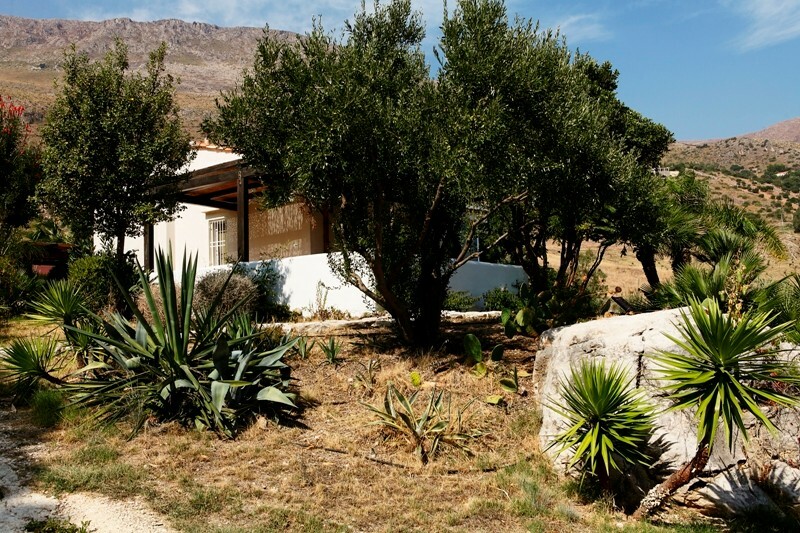 Villa Ginestra is really close to Scopello, one of the most famous and wonderful villages in Sicily: a Medieval hamlet all gathered around a typical Arab courtyard called "baglio". 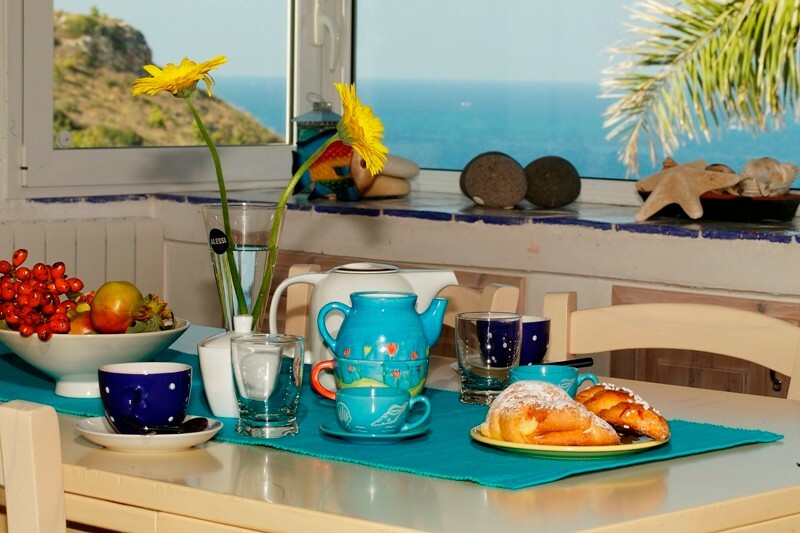 Here you'll find bars, shops and restaurants, as well as an enchanting bay with a transparent sea and a very picturesque scenery (the huge Faraglioni rocks right in the middle of the tiny gulf) that has been chosen as setting for various Italian and international motion pictures. 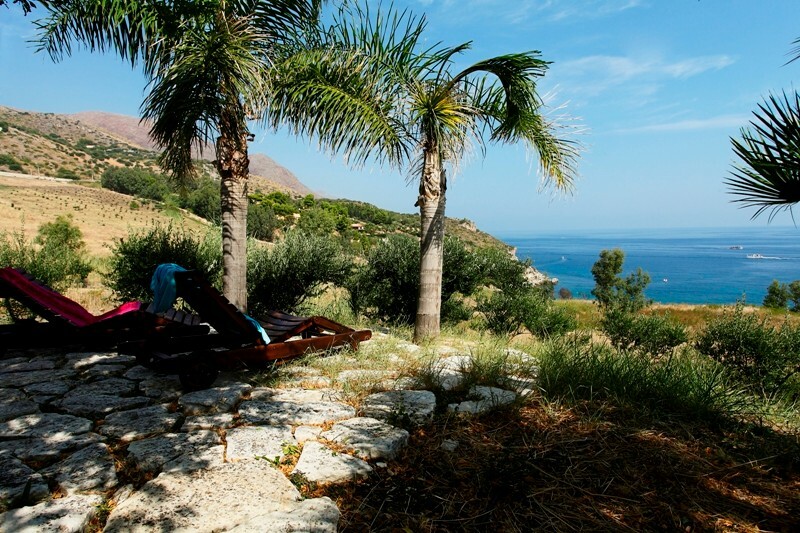 Just five kilometers away lies the beautiful Castellammare del Golfo: here you'll find shops, supermarkets, banks and all the other services you may need. 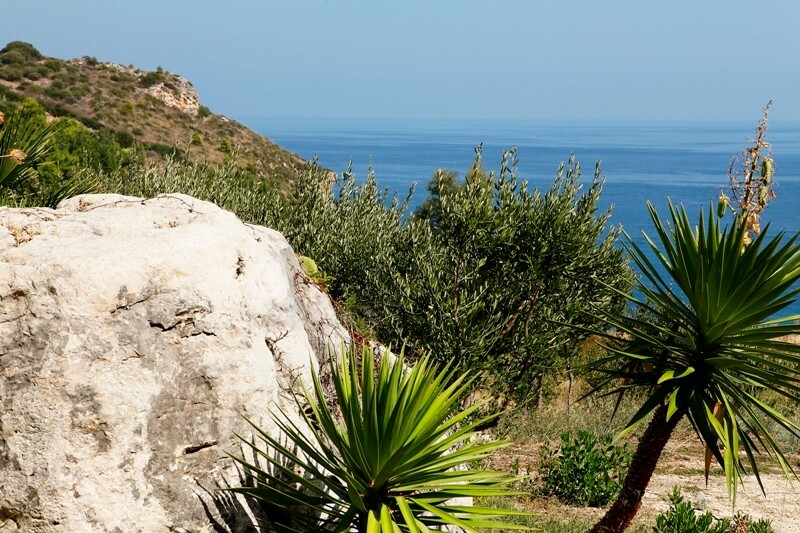 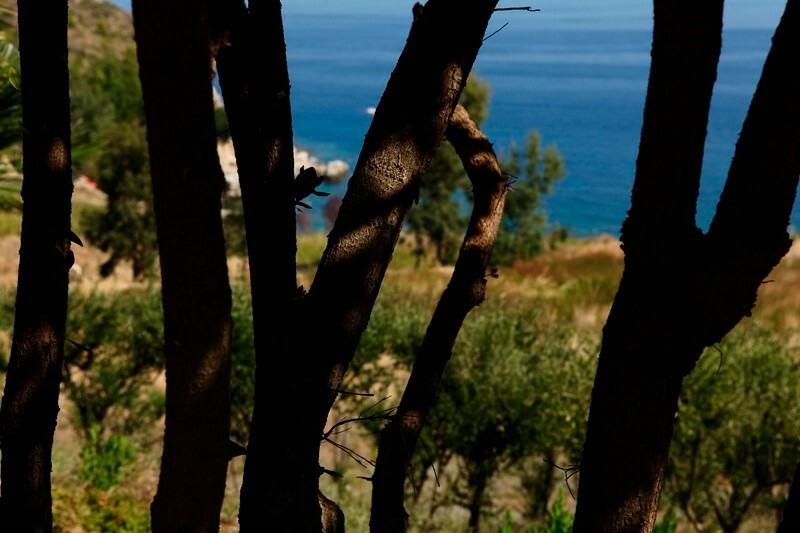 The wonderful and wild Zingaro Nature Reserve is all around you: on request, we can arrange boat trips around this area to let you discover caves, bays and corners that cannot be reached from the land.